This Farmer’s Market Breakfast Enchiladas recipe is made with eggs, lentils, and a bounty of fresh, seasonal produce. They’re the perfect enchilada recipe for a crowd and they’re freezer-friendly, too! Breakfast enchiladas! Yes, you heard me. Enchiladas… FOR BREAKFAST. This may just be the best idea I’ve ever had. Maybe. Aside from moving into a house that’s within walking distance of the Farmer’s Market. I mean, that’s pretty hard to top. ‍ Especially when it’s the peak of summer harvest season! SO – on Saturday morning, we made the 5-minute trek to the Farmer’s Market and selected the very best and (let’s be honest) the ✨prettiest✨ fresh produce. A rainbow of juicy, ripe heirlooms. Fragrant, bright yellow sweet corn. Local farm eggs. Zingy cilantro. Spicy, red and green jalapeños. Summer harvest at its absolute finest.  And all of it is just around the corner! 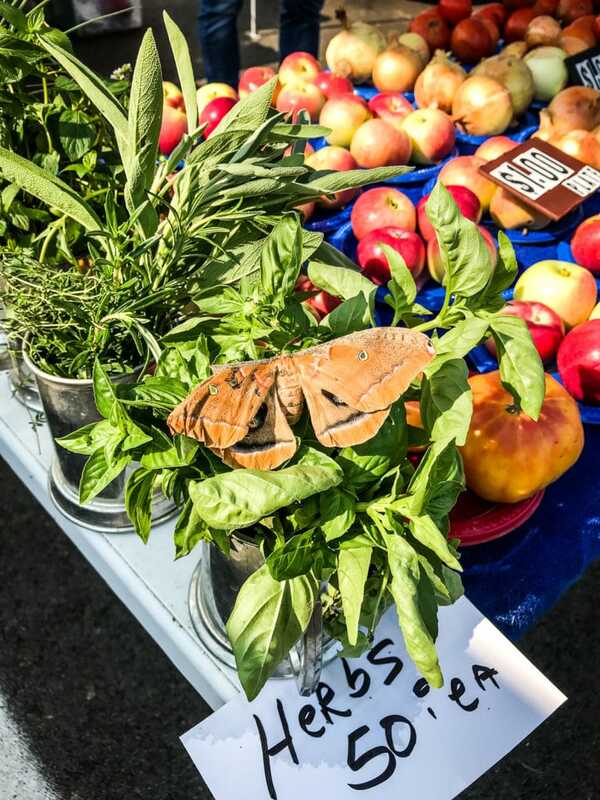 Yeah… Farmer’s Markets are a major perk of Midwest summers. Chop the veggies. Cook the filling. Blend the sauce. Wrap everything up in the tortillas. Bake. And enjoy. It’s seriously that easy to achieve wholesome, satisfying brunch goals. AT HOME. These were everything we needed to round out a fun, busy weekend! We make an effort to shop and eat seasonally as much as possible year-round, but I’d be lying if I said that summer veggies weren’t my favorite. They’re just the best! Even though we haven’t made it to the farmer’s market every weekend since we moved, we try our best. It’s hard to beat having a fridge stocked to the brim with fresh, local produce. We spent less than $20 and we got enough food for 6-8 meals! 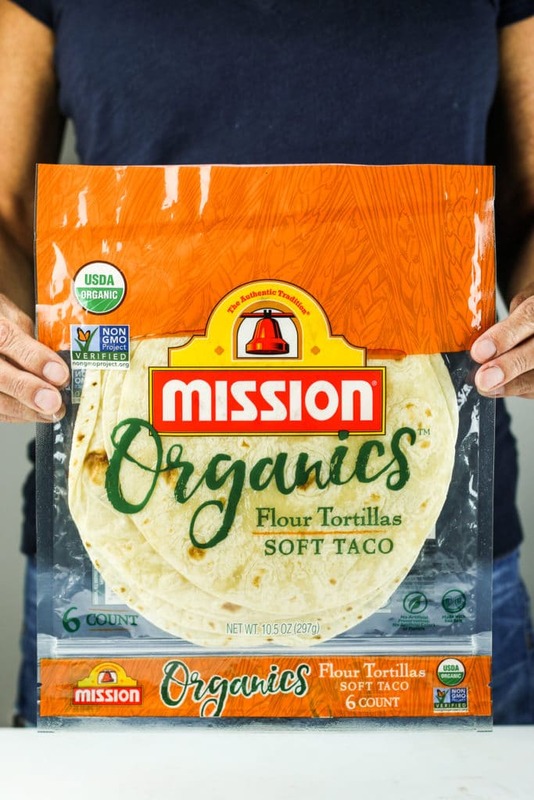 Just think of what you can make using these Mission Organics tortillas – quesadillas, cauliflower tacos, breakfast burritos, taquitos, these breakfast enchiladas… the possibilities are endless! I have to stress the fact that these breakfast enchiladas are NOT just for breakfast. I’m speaking from experience when I say that they’re also great for lunch or dinner and they reheat perfectly for meal prep. I even provided reheating instructions below to make it easy for you! Keep your options open, people.  Enchiladas all day, every day! Also… when you make these – which should be ASAP – be sure to snap a picture and tag us on Instagram. 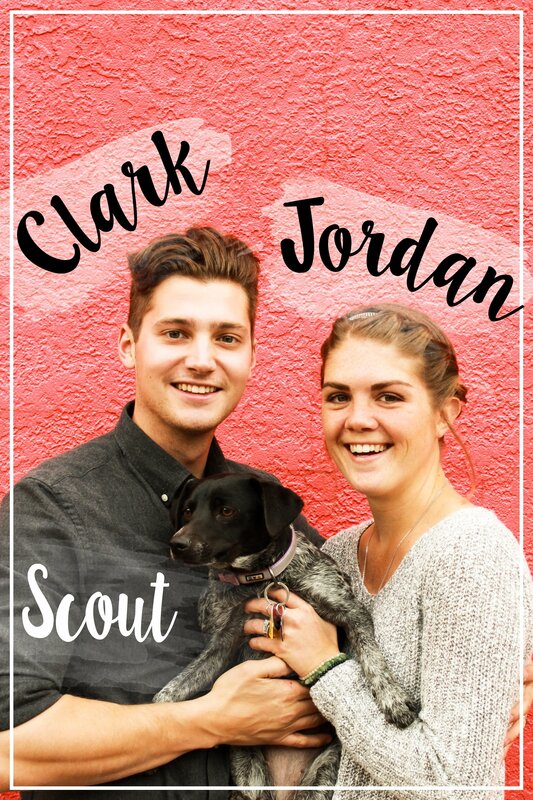 We love seeing what you make and sharing your creations on our stories! If reheating from the refrigerator, turn oven to 375º and bake for 10-15 minutes. If you intend on freezing these, I recommend wrapping each individual enchilada in foil that has been spritzed with cooking spray. Reserve some of the sauce for reheating. To reheat, turn oven to 375º and bake enchilada for 25-30 minutes until heated throughout. I think you could reheat the enchiladas in the microwave, but they need to bake in the oven to turn out right! These look so yummy! 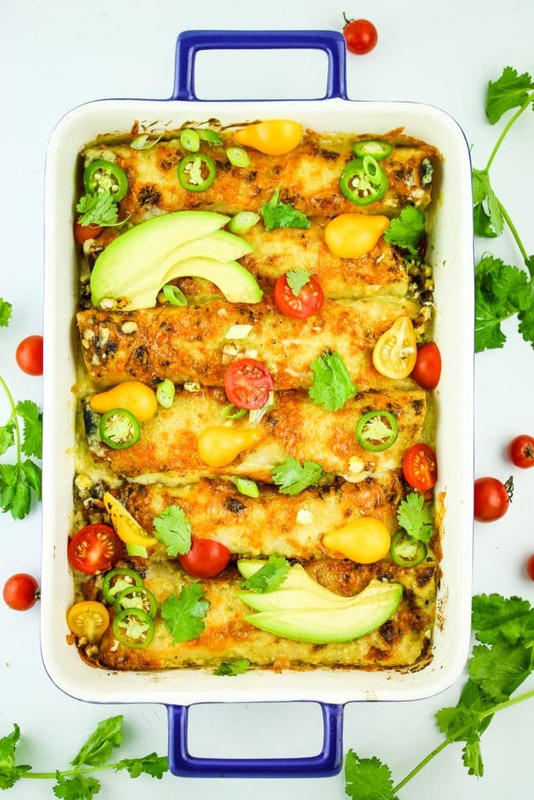 I love the farmers market, such fun variety and these enchiladas look like the perfect way to use up all of those gorgeous veggies! 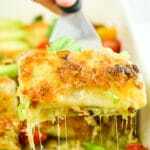 This looks sooooo delicious n a perfect combination of comfort+ease. I love going to farmers market and making recipes with fresh/organic recipes always tastes so much better. Loving the idea of enciladas for breakfast! I’ve been looking for different breakfast recipes that can be ‘make ahead’ and this seems to fit the bill! Thanks for sharing! Wow these enchiladas look soo yummy!! I will have to try this at my next brunch. Do it! You’ll be everyone’s favorite person! I am obsessed with our farmers market! The heirloom tomatoes are my favorite. This is such a great, easy healthy breakfast idea and perfect for that summer produce. SAME! I wish it could last all year. You are speaking my language! If I’m going to actually eat a real breakfast I want it to be savory like this! Definitely! These enchiladas are where it’s at. Now I’m thinking breakfast enchiladas for tomorrow! This is the perfect way to enjoy all my farmer’s market favorites. Treat yourself! SO so good. Oh, I miss walking to the farmer’s market! We have a wonderful one down here in Raleigh, but we have to set time aside and drive there – in New York I was in walking distance, and could go more often. Enjoy it! 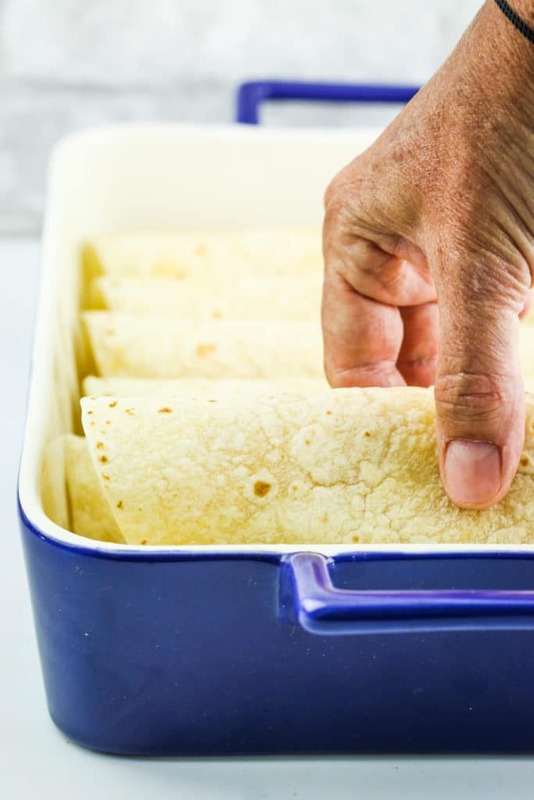 And I’ve recently become a major fan of enchiladas – so easy, so good and everyone in the family likes them. Awwww… I used to live in New York too! Loved the markets there – so much variety! I’ve never seen lentils in breakfast enchiladas before, but they sound fantastic! This dish has so many great layers of flavor in it. I’m certain it would be a brunch hit! 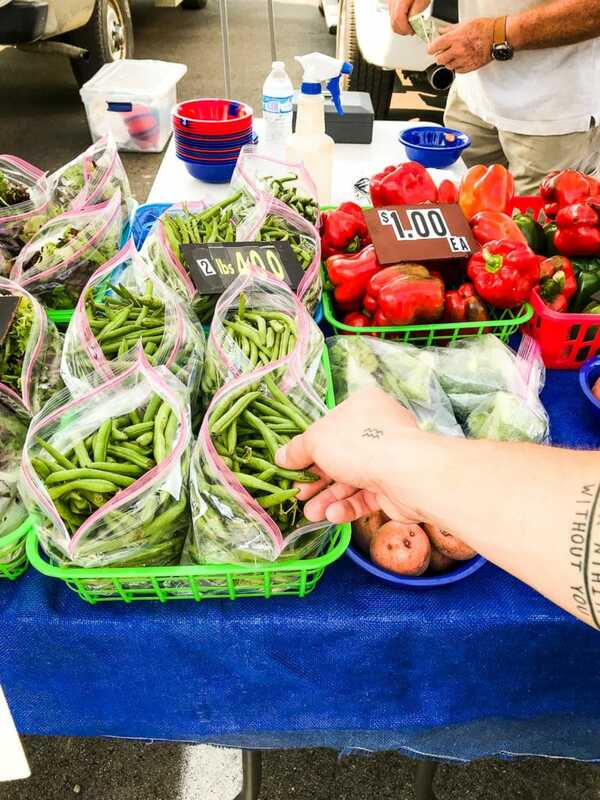 We never miss our Saturdays at the Farmers Market, rain or shine ;-) . 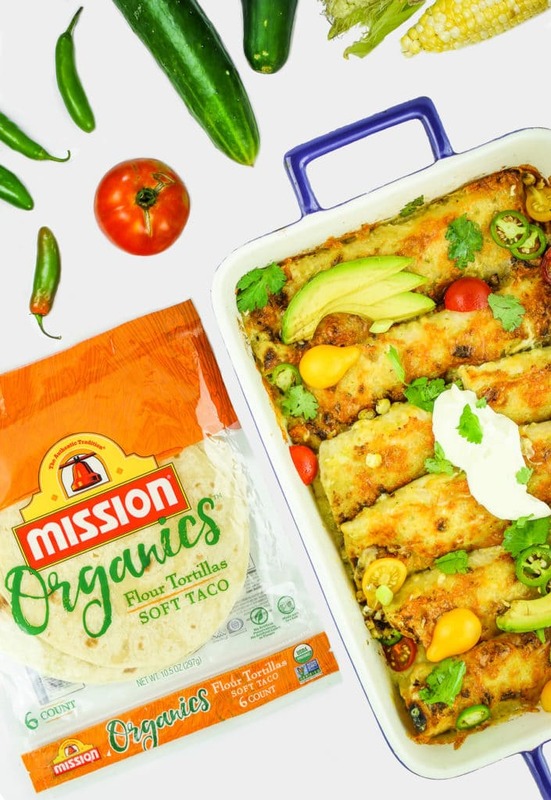 These breakfast enchiladas look outrageously good, packed with amazing ingredients, including the organic tortillas! Yum! I wish I was that dedicated! We’ve missed a couple of weekends, but we make it as often as possible! 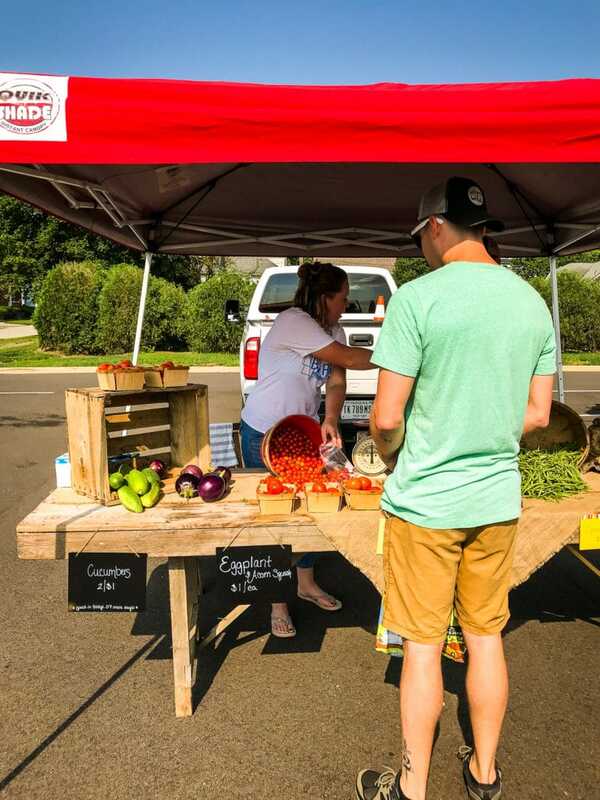 I love your recap at the farmers market – and the dish that you made! 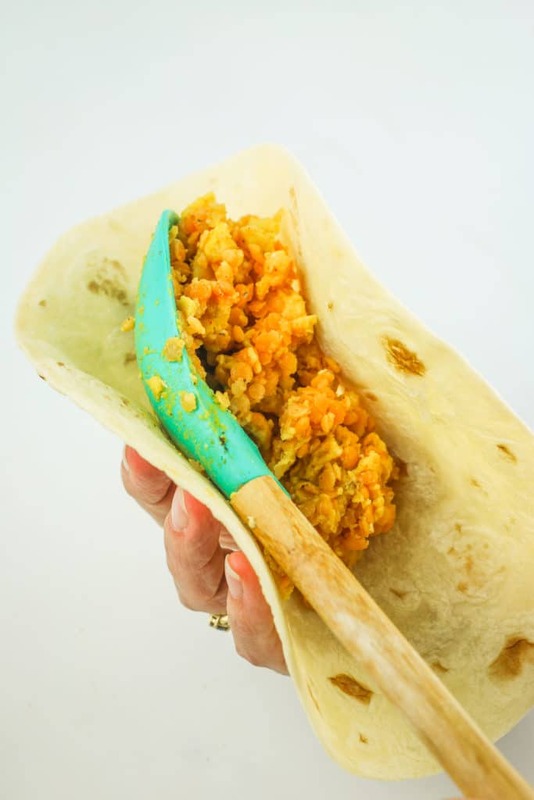 i’ve had breakfast tacos, not enchiladas – so creative! You GOTTA try them! Seriously so good. 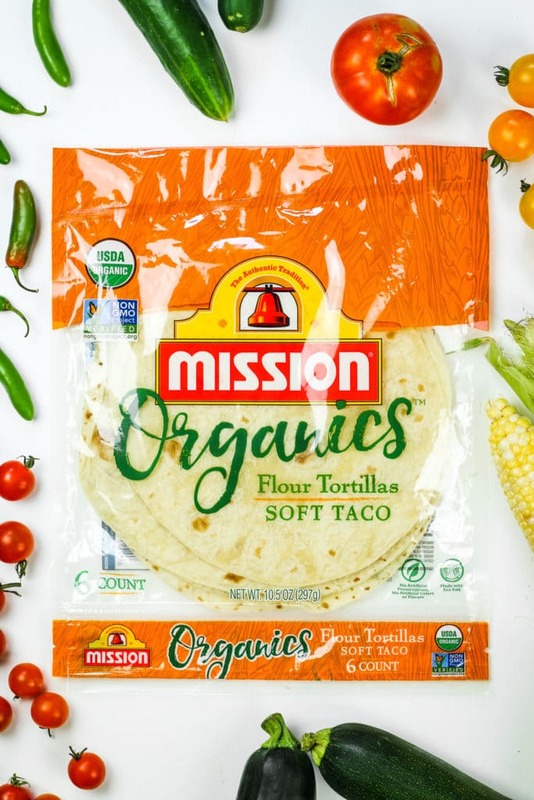 It was nice to find out about your go-to tortillas – definitely need to give them a try. 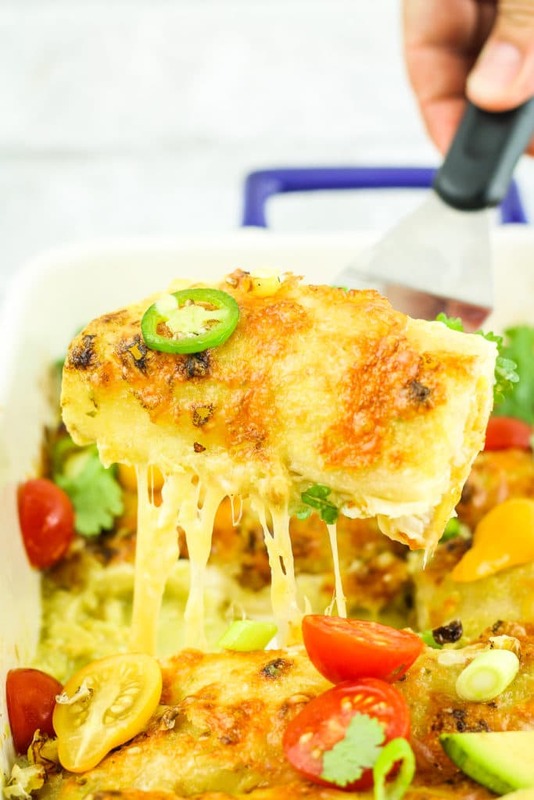 Love the recipe because I like to have enchiladas for breakfast from time to time! Heck yes! I could have enchiladas for breakfast every day!